The following E-Communication Disclosure (“Disclosure”) applies to any and all communications or disclosures that we are legally required to provide to you in writing in connection with your Card Account and any related products and services (“Communications”), to the extent you have consented to receiving such Communications electronically. If you have not consented and would like to receive Communications electronically from us, please visit us online at www.mangomoney.com. How to Withdraw Consent. 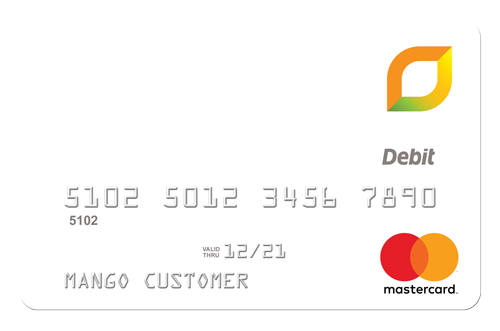 You may withdraw your consent to receive Communications in electronic form at any time by contacting us at 855-687-2036 or visit the www.mangomoney.com website or write to Juice Prepaid Mastercard, PO Box 315, New York, NY, 10018. If you do withdraw your consent, we will close your Card Account, except where prohibited by law. We will not impose any fee to process the withdrawal of your consent to receive electronic Communications. Any withdrawal of your consent to receive electronic Communications will be effective only after we have a reasonable period of time to process your request for withdrawal. In the meantime, you will continue to receive Communications in electronic form. If you withdraw your consent, the legal validity and enforceability of prior Communications delivered in electronic form will not be affected. How to Update Your Records. It is your responsibility to provide us with a true, accurate and complete e-mail address (if you have elected to receive e-mail messages from us), your contact information, and other information related to this Disclosure and your Card Account, and to maintain and update promptly any changes in this information. You can update information (such as your e-mail address) through www.mangomoney.com or by contacting us at 855-687-2036. Requesting Paper Copies. We will not send you a paper copy of any Communication, unless you request it or we otherwise deem it appropriate to do so. You can obtain a paper copy of an electronic Communication by printing it yourself or by requesting that we mail you a paper copy, provided that such request is made within a reasonable time after we first provided the electronic Communication to you. To request a paper copy, contact us by calling 855-687-2036 or writing to us at Juice Prepaid Mastercard, PO Box 315, New York, NY, 10018.